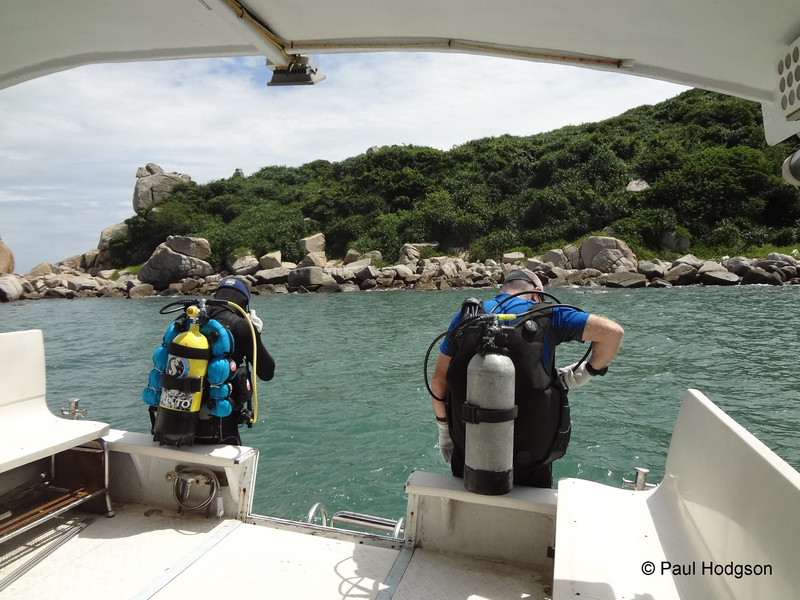 The dangers posed to the Chinese white dolphin from heavy marine traffic in south Lantau waters was examined by WWF-Hong Kong in an underwater sound study conducted between October 2016 and September 2017. 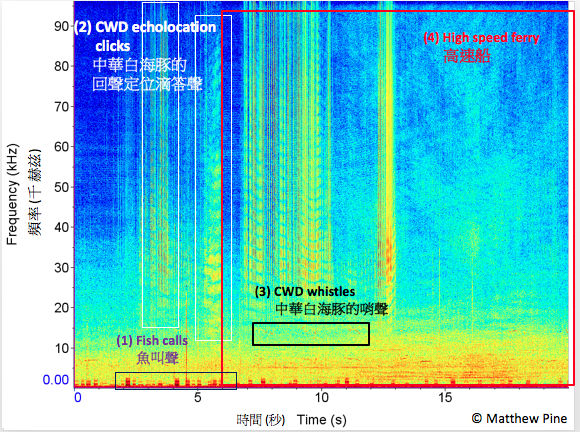 A total of seven underwater sound recorders collected the whistles and echolocation clicks of the Chinese white dolphin and finless porpoise, as well as the noise generated by vessels passing through the area. 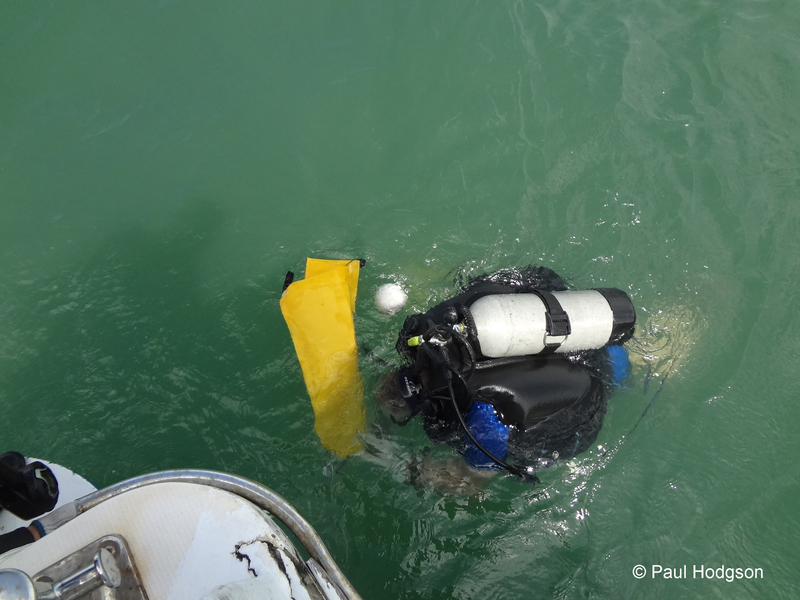 A hydrophone is underwater microphone and connected to a water-proof, rechargeable, portable recorder. It can record for 2 minutes every 10 minutes, for up to 1.5-months. 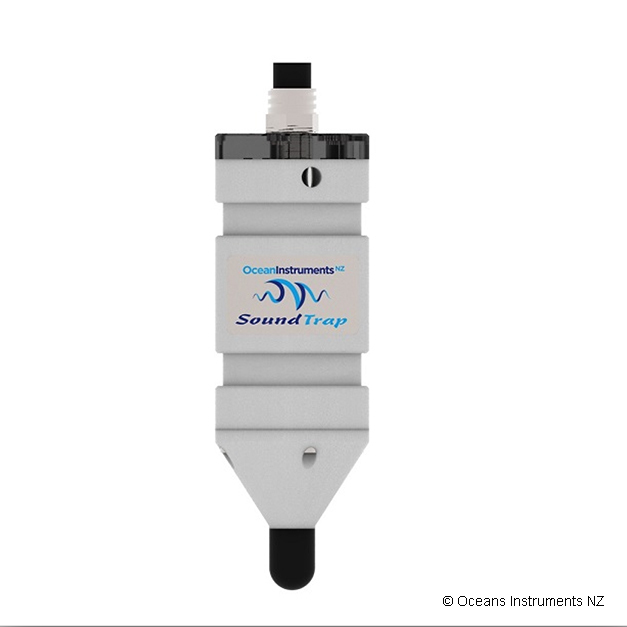 The hydrophones we use are specifically designed to record the high frequency clicks made by cetaceans, including dolphins, and the very low frequency calls of whales. 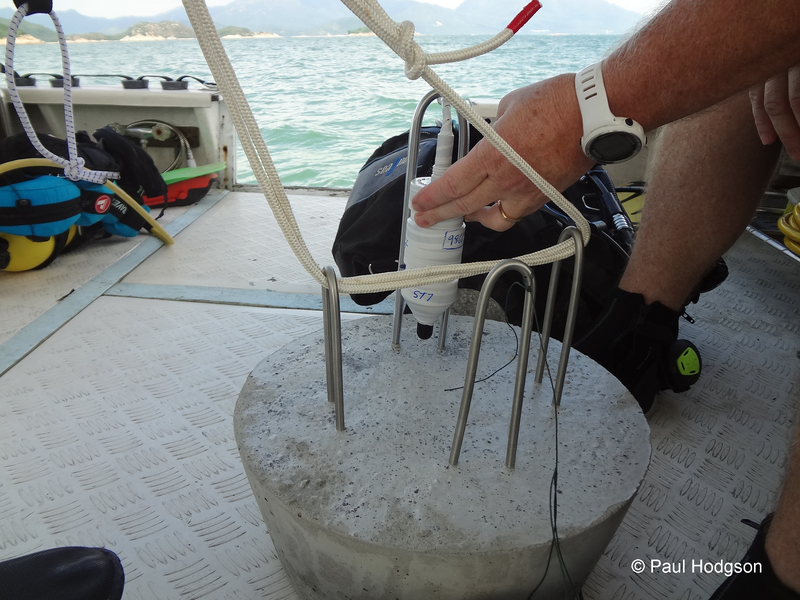 The data is downloaded, then the device is recharged and placed again on the stand, the whole unit is ready for the next recording in the water. 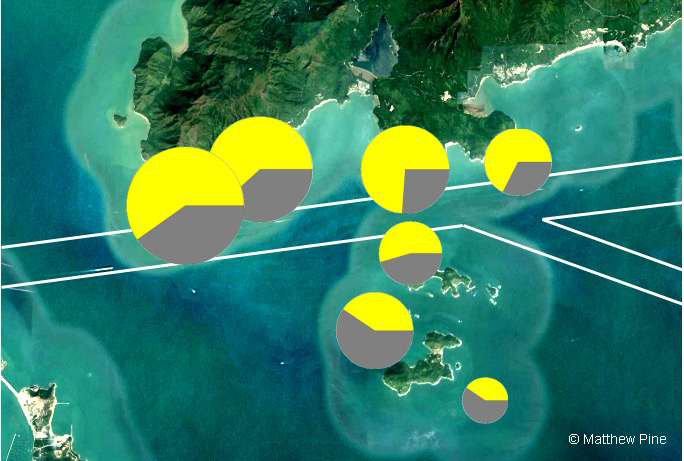 The data collected from the hydrophones show the amount of time the dolphins spend at each location and the number of Chinese white dolphins detected during the day (yellow) and night (grey). The size of each pie-chart represents the number of detections compared to other sites (i.e. larger circles represent more dolphin detections, while smaller circles represent fewer detections compared to the other sites). Here is the sample data of the hydrophone taken at night time. The spectrogram is a sound frequency profile to show all noise signals recorded. Please click to listen. 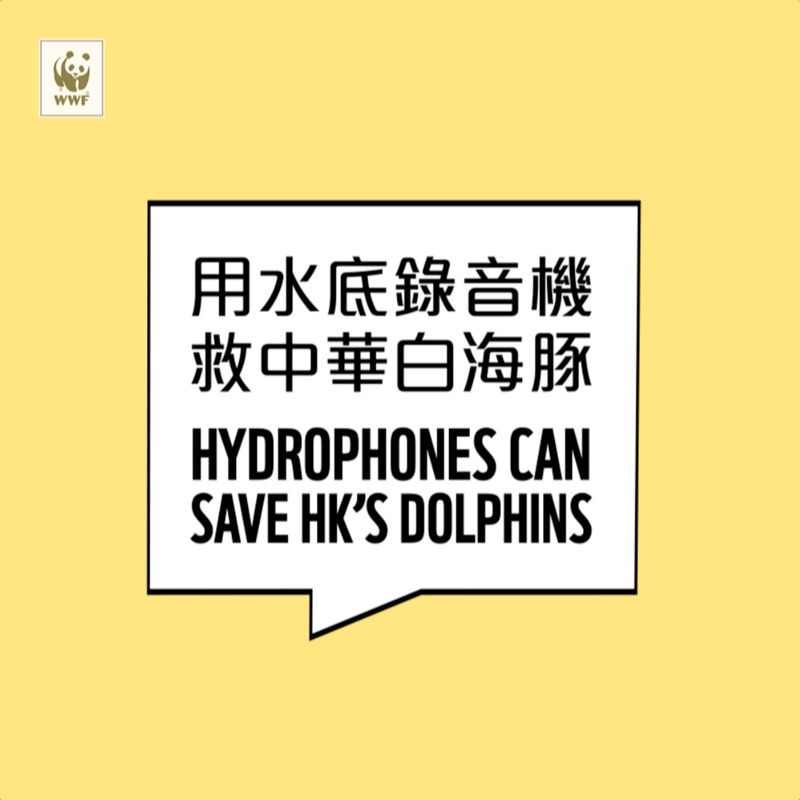 WWF identified an urgent need to expand the current hydrophone study to cover wider range of the sea where Chinese white dolphins now inhabit, particularly Tai O, one of the remaining Chinese white dolphin core habitats in Hong Kong yet unprotected. This will allow us to cover a comprehensive range to understand dolphin’s activity around the clock for the period of one year. This scientific data will be used to formulate strategies to save the Chinese white dolphin, such as lobbying the government to establish marine protected areas, or to divert or restrict vessels traversing key dolphin habitats. Discover Audrey Tam’s fundraising work here. © All photos, graphics and images on this site remain the copyright of WWF, unless otherwise noted, and should not be downloaded without prior permission. .